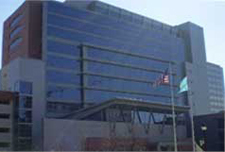 The Leonard L. Williams Justice Center Parking Garage is attached to the Courthouse. You must be prepared to pay for your own parking each day of your jury service. If you park in the garage attached to the Courthouse, be aware that the rate is $11 per day. Superior Court does have limited number of free parking spaces in the garage attached to the Courthouse. However, no one is guaranteed free parking while on jury duty. If you leave before completing your service, you are not eligible for free parking. If you park in any parking facility other than the one attached to the Courthouse, the Court cannot pay for your parking. Remember, you must be prepared to pay for your own parking each day regardless of where you park. The Court cannot guarantee free parking for any juror.